RS V3 is packed full of features to help you achieve your fitness goals. Whether you are just getting started or a seasoned runner, this easy-to-use, customizable software is built to help you take your running to the next level. Track all your Cross Training activities. This full featured running log allows you to track your cross training activities. Track swimming, cycling, rollerblading, hiking, and more! There are no limits in this fully customizable running log. 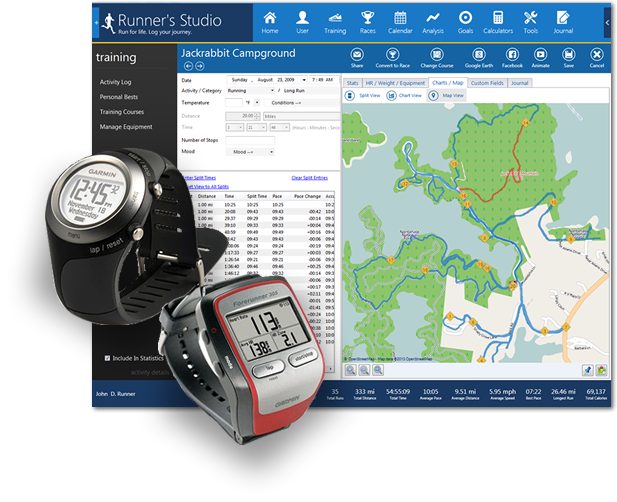 Import and analyze your GPS sport activities using Runner's Studio's GPS analytical engine. Understand your data like you never have before. That's right - we said it! Let Runner's Studio do the hard work processing your GPS data while you... well... just enjoy it! Log all of all your training activities from running to biking to rollerblading. There are no limits in this fully customizable activity log! Import data captured from your Garmin Forerunner, Timex Global Trainer, or other GPS sports watch. A variety of GPS file formats (GPX, TCX, FIT, PWX, etc) are supported and new ones are always being added. Automatically track your race history and personal bests. Tell Runner's Studio about upcoming races and let it count down the days to the big race! 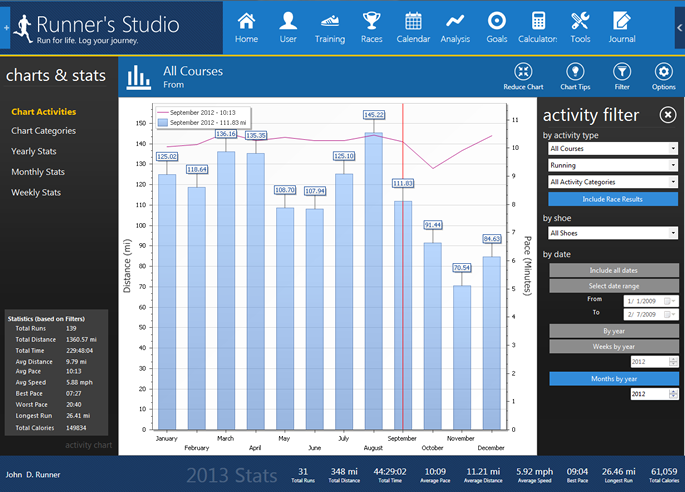 View lifetime stats or analyze run performance by week, month, or year. Numerous graphing options give you a clear picture of your training history. Don't let all your hard work go unrecorded. 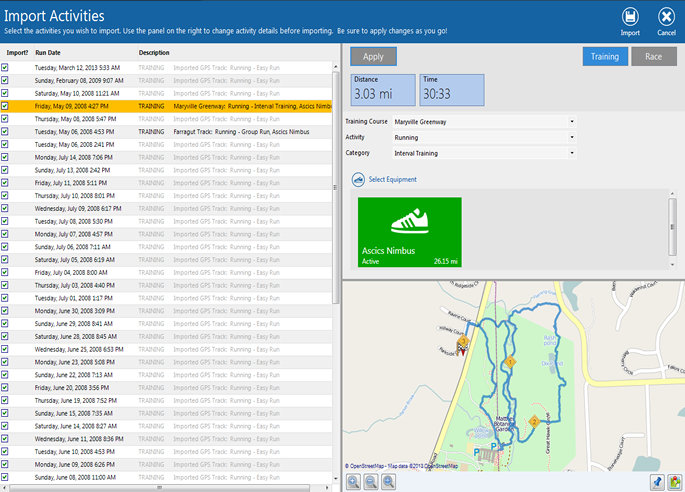 Log your training runs in this easy to use, customizable, running log software. Try it risk free for 30 days. Download your free trial and start entering your workouts today! 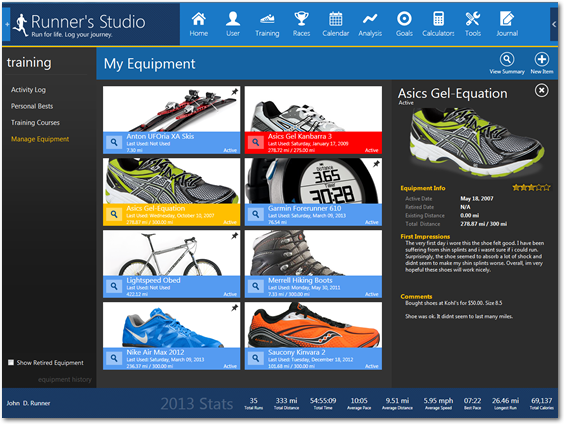 Runner's Studio is a comprehensive and well-implemented program and the service that you provide is outstanding." 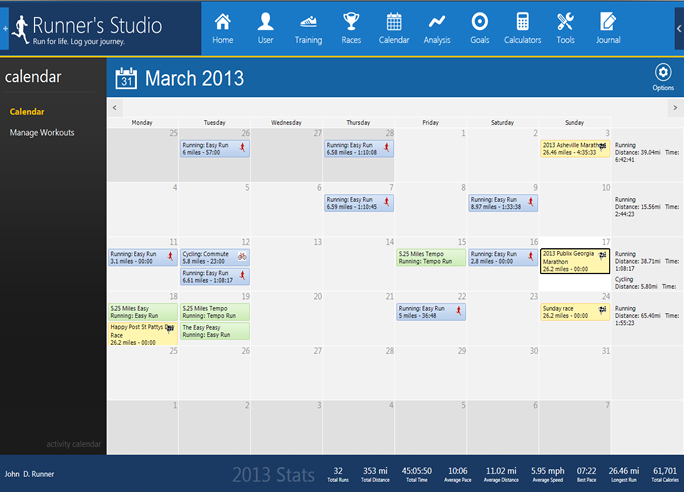 I recently started using Runner's Studio and I am very happy and impressed! Thank you for a great tool! 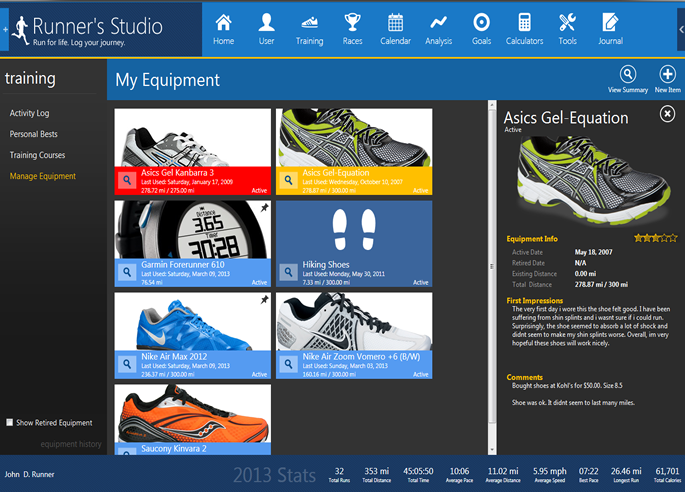 Runner' Studio provides the athlete with a rich texture, and slick interface, and helps keep him/her on track. Keep up the good work.